The title looks like it would be detrimental to our little rain poncho blog site doesn’t it? I will explain myself. 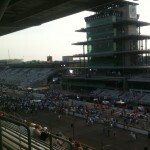 On Sunday I had the pleasure of accompanying my father to the Indianapolis Motor Speedway. Going into this event, I decided that I might try to take a page out of my no rain poncho at Niagara Falls challenge, except reverse it. So I was thinking the new Indianapolis 500 Motor Speedway challenge would go as follows: wear a rain poncho all day long in the heat and look like a crazy person. It would have the exact same result as the Niagara Falls trip, people would think I was a nut, and it would get our website some free advertising in the process. That’s when I started hearing all the warnings on the news. 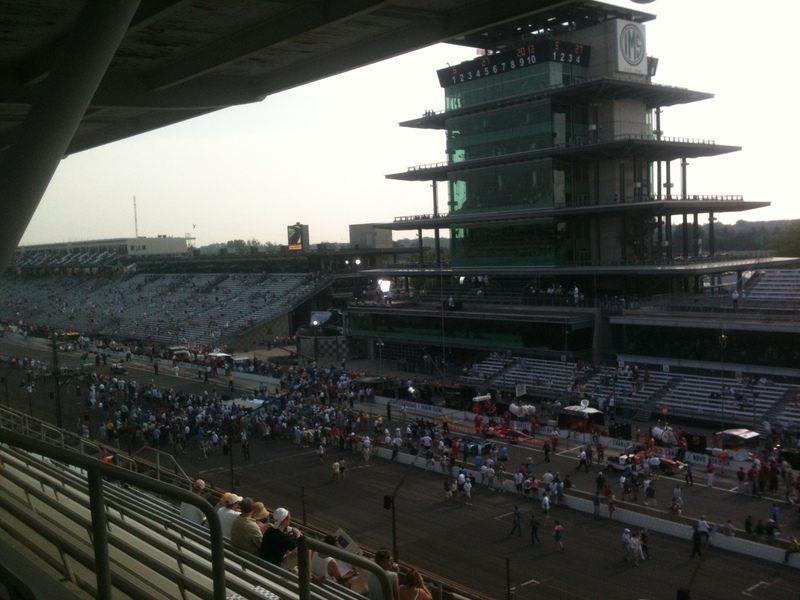 This Indy 500 was going to be the hottest on record, and the news suggested that people start hydrating and preparing for the event almost 5 days before it even happened! I was still thinking in my head that this could somehow still be a good idea, and then the best possible thing happened… I chickened out. I haven’t been to the race since I was a little boy, and there was no way I was going to be more worried about a rain poncho and the gallons of sweat pouring off my body than the race itself. So I wimped out. If it had started pouring rain down, I wouldn’t have wanted a rain poncho, and it probably would have made 300,000 people who attended incredibly happy. It was hot, and we saw the impact the heat had firsthand unfortunately, when one of our nearby race fans fainted from the heat. The rain poncho would have been the worst decision of my life. The race itself was incredible. To the left is a picture of our seats. The finish line was just off to our left, and pit lane was straight across the track. My driver (Takuma Sato) went for a pass on the leader on the last lap going into the first turn and spun out, so the race didn’t end the way I wanted it to, and because of that I lost some money, but regardless it’s an unbelievable event. To be honest I really don’t like racing in the slightest, I think it’s boring (Although I respect the athletes), but the race is still incredibly fun. I would really recommend going if you haven’t gone, and I would recommend bringing a rain poncho if you go, just in case.